Approximately a year after the initial release of the Cree LED emitter for the Pila GL2/3 models, they followed it up with updated versions. The P4 edition has upped the ante to 180 lumens and is the direct replacement for the original 120 lumen one. This optional Q5 emitter however is rocking a whopping 250 lumens and takes top billing in Pila’s line as far as LED modules go. The Fenix L2D is the 2xAA version of the P2D. Electronically speaking the two lights are identical, just using the two 1.5v batteries to make up the correct voltage. This allows for use of a more common cell with much simpler manufacturing costs. In all, a very prudent use of resources making use of the available power supplies and creating 2 lights for little more than the price of one. 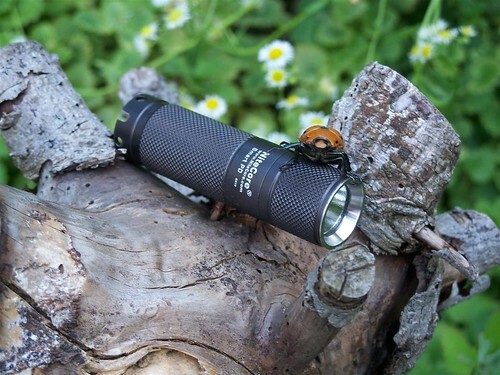 I recently was afforded the opportunity to test and review the Nitecore EX10. I know this comes a little late in the game since it appears almost 80% of the active posters on Candlepower forums already own either an EX10 or a D10, but for what it’s worth, here are my observations. I have liked flashlights all my life. I love reading the detailed specs driven reviews that many people post. This is not one of them. I work in a factory. I use my light every day and this review is based more on real life usage scenarios than white wall hunting. I don’t have the equipment to test output directly but I do have impressions based on comparisons.